Email marketing can be a very powerful tool, not only for building a list of prospects, but it can also be an effective way for reaching out to an existing customer base. Unfortunately, even seasoned email marketers often forget this fact and instead focus on just adding names to their list. Yet, for the smart marketer, developing your email list by honoring your current customer base can be the swiftest way to generate additional revenues and referrals. There are several reasons why you should use your email marketing efforts to drive traffic participating from your current customer base. First, these customers already know what you stand for and you have already established yourself as an expert in your field. Second, these same clients are interested in what you have to say, which is half the battle already won. Third, they have already purchased from you, meaning their likelihood of doing so again has increased. To help you revitalize your email marketing campaign and re-engage your clients to generate new business, here are some expert tips. Start with a fresh email offering. To launch your email marketing campaign to your current customer base, take the time to create a brand new offering such as a new information product or an exclusive offer. Make sure this offer is not overly sales pitched, but rather irresistible to your market and has value right away. Personalize your messaging. No one likes to get an email with an impersonal greeting like “Hello Subscriber”. In fact, this will likely get you sent directly to the spam folder for life. Take the time to use an email marketing software that allows you to personalize each message by the person’s name. Establish renewed trust and respect. Give your email subscribers a chance to get to know you again by reminding them of the work you’ve done for them in the past, and why you are the best choice for future work. Extend a sincere thank you for their faith in your abilities. Encourage an open dialogue. Sending out emails is just the start of a beautiful connection between you and your customers. Make sure you start a real conversation with your client base by asking for feedback, suggestions and requests to make their lives and businesses better. Follow up promptly and often. Once you have your customers’ attentions, you must maintain it by following up often with repeat offers, incentives, and helpful information. When someone emails you a question or needs something, show them the courtesy of a quick response. Provide tangible rewards. Your customers have helped you grow your business over the years, so it’s time to give something back. Take the time to reward your customers who give you repeat business, refer colleagues, and support you through their feedback. Make sure it’s tangible and valued in their minds. Ask for affiliates. One of the best ways to combine email list building with customer base growth is by implementing an affiliate lead program. Provide a way for your customers to promote your company and its offerings to others, and earn a little cash on the side. This is the perfect way to increase your influence via email marketing. To increase sales means taking the time to look at the way you currently use email marketing, and then finding ways to improve this amazing marketing tool. Use your email marketing to cultivate your current customer base, and to increase the likelihood that you can generate sales along a much wider network. 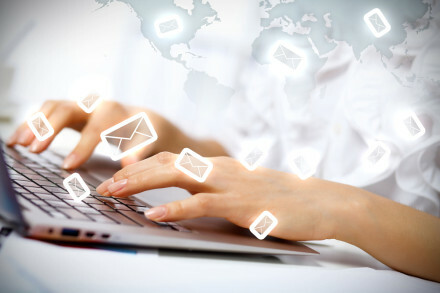 Use the above email marketing tips to realize business success. Thomas has been a leading online expert in free email marketing tools for nearly 10 years. When he isn’t working you can find him at home with his family or working on his jazz composition skills.